Tarja Karjalainen is the Localization Specialist at HappyOrNot, the company responsible for creating the globally-recognizable ‘Smiley’ feedback system. With over 25,000 physical ‘Smiley Terminals’ in airports, office spaces, and retail outlets around the world, the company generates employee and customer feedback data on an unprecedented scale. Founded in 2009, HappyOrNot is headquartered in Tampere, Finland, with a US office in Florida and a global reseller network of over 110 companies. Serving more than 4,000 clients in 120 countries around the world, HappyOrNot has become “The leading solution for instant customer and employee satisfaction analytics and reporting.” Its clients include global brands such Microsoft, McDonald’s, London Heathrow Airport, LinkedIn, the British National Health Service (NHS), and IKEA. With a strong background in translation, Tarja was originally a freelance translator and project manager, and she has hands-on experience from both the vendor and client sides of the localization industry. She is passionate about languages and communication, localization technology, and ensuring a great user experience. 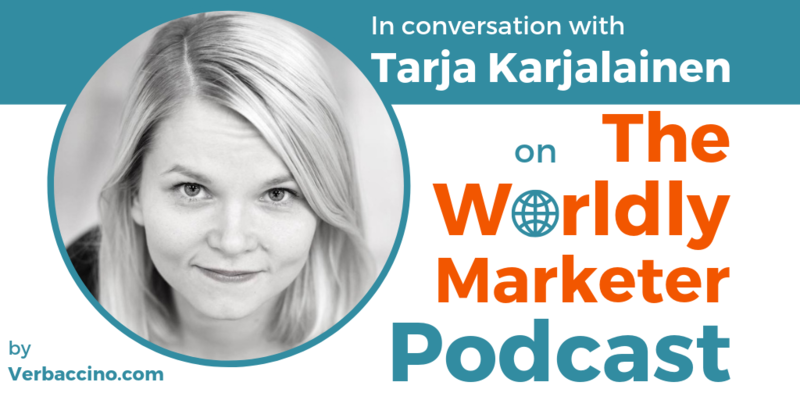 On this episode, Tarja reveals how even the smallest in-house localization team – given the right tools and the right language vendors – can enable a company to go global.